France , Calais, camp for refugees known as 'The Jungle'. September 21st 2015. 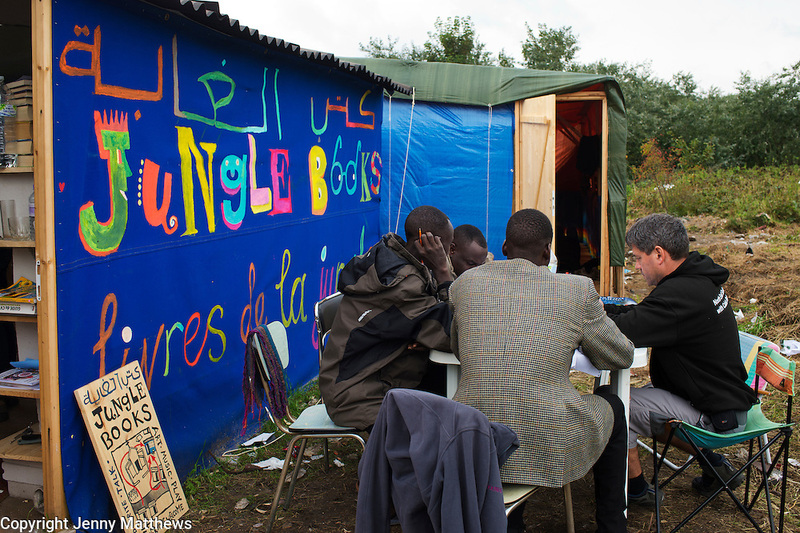 A group of Sudanese men study English with a volunteer outside the library, Jungle Books.